إن فندق منتجع سرفرز إنترناشونال أبارتمنس بموقعه الممتاز في سارفرس باراديس هو نقطة انطلاق جيدة لنزهاتك في جولد كوست. يمكن من هنا للضيوف الاستمتاع بسهولة الوصول إلى كل ما تقدمه هذه المدينة النابضة بالحياة. كما يمكن الوصول بسهولة إلى Go Ride A Wave - Surfers Paradise, 7D Cinema Gold Coast, Surfers Paradise Tenpin. استمتع بالخدمات الراقية والضيافة التي لا مثيل لها بهذا الفندق في جولد كوست. يقدم الفندق مرافق مخصصة لذوي الاحتياجات الخاصة, تخزين الأمتعة, واي فاي في المناطق العامة, صف السيارات, مركز رجال الأعمال لضمان الراحة القصوى لضيوفه. تتضمن كل غرف النزلاء وسائل الراحة والتسلية المصممة خصيصاً لضمان الراحة القصوى للضيوف. يمكنك طلب اللائحة الكاملة للخدمات في الفندق ومن بينها حوض استحمام ساخن, مركز للياقة البدنية, ساونا, مسار جولف - ضمن 3 كم, حمام سباحة خارجي. مهما كانت أسبابك لزيارة جولد كوست، فإن منتجع سرفرز إنترناشونال أبارتمنس هو الخيار الأفضل لإقامة مثيرة وممتعة. For the price we paid this place was absolutely fantastic! The view can’t beaten! Location is great! 1 street over from Cavill Av. Could do with a little bit of an update, but for the price I’m really not complaining! Staff was fantastic. Very helpful and friendly. Over all, we enjoyed our time there and would definitely stay there again! 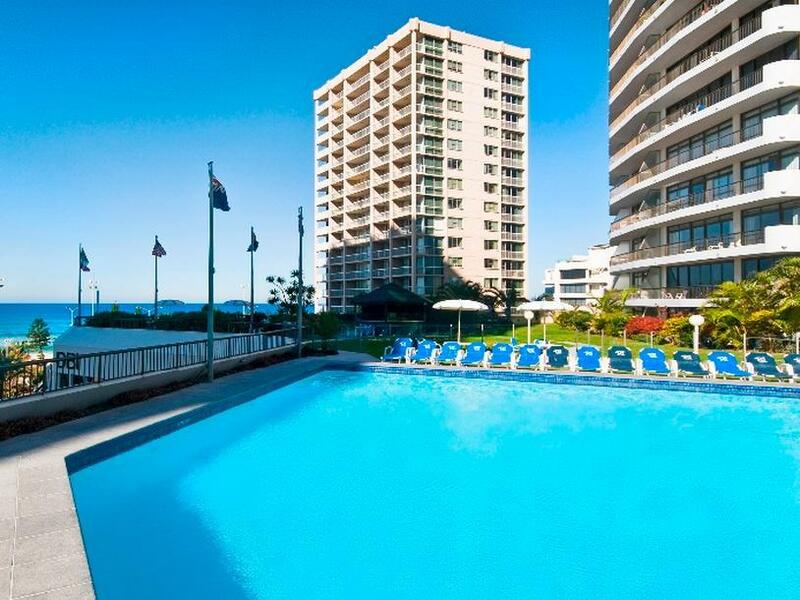 The price is very worth it for this spacious apartment that is literally minutes away from Surfers Paradise. Parking is available on site . 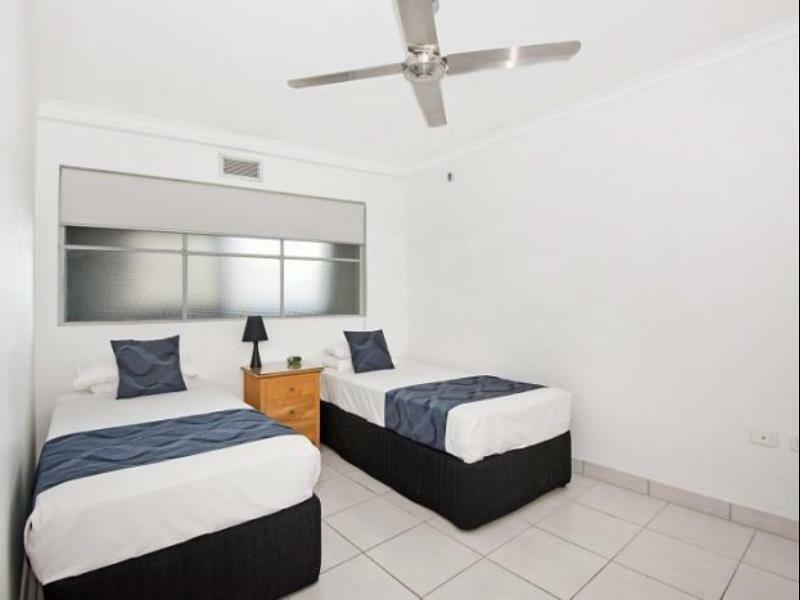 Apartment gives a view of the beach as well and walking distance to malls cavill Avenue & shops. highly recommended!! When we first arrived our room was quite noisy due to construction works taking place in front of building. Management cannot help this. On speaking to the beautiful Jackie she immediately moved us to a higher floor and away from the noise. She was only too happy to help us and went beyond and above to do this for us. Such a pleasant, lovely couple who remembered our names, where we were from etc. Nice to have that personal touch. We will be back. staff were so excellent I will definitely stay here again, I booked my son and a couple friends they were treated excellent by reception, they were even allowed to check out late in the afternoon as there flight was at 8 I have never heard of any other hotels doing that without charging you xtra money. Thanks so much will recommend to all my friends, Location was perfect and view amazing. We came for the location, close to the Theme Parks etc. but will be back for the accommodation and facilitites. The accommodation was perfect for our family. Spacious unit in the perfect location about a 30 second walk to Cavil Mall and the view from our unit was amazing. We wil be back as soon as we can. Dated but great location for the time being until new skyscraper gets built directly in front. Bathroom facilities could be cleaner but clean enough. Very friendly staff. Very nice view from our unit. clean and very convenient. Close to everything.. tram station, woolworth, restaurants. Apartment had everything we needed. Couldn't fault the room or the complex itself. Perfect view and perfect location !!! With a brand new high rise building being built in front of the apartment block there was some construction noise going on all day (generally 6am - 6pm) but it wasn't unbearable and certainly didn't spoil our holiday. Hopefully you won't lose too many ocean view rooms with the new building going up. Surfers international were the best apartments for location to shops and the beach. One street away from cavil mall and beautiful views of the beach. My friends and I had the absolute best weekend together celebrating my 40th birthday. Some appartments are renovated and some aren't. I was lucky to get a beautifully renovated apartment. They are huge in size and have everything you need. I will definitely be coming to stay again. Great facilities and the staff were so so friendly and helpful. I hate that we had to leave and come home. After reading some reviews I was a little concerned booking at this resort. At arrival staff were extremely pleasant and helpful. The room was clean and spacious with great views. Next door construction site provided some noise but was minimal with doors closed. Would stay here again. I booked 3 nights here because it was close to where my 3 day course was. My mouth dropped when I opened the door and all I could see was ocean views. I didn't want to leave the room it was so nice. Highly recommend this stay as great value for money. Location was very good. Walking distance to beach nearby many restaurant n Mall. It's just at the middle of surfer paradise. Our room view is perfect facing the beach The only problem is no Housekeeping during our stay. Air con is at the living room , and only fan is at the room. But lucky part was weather is cooling at night. Receiption operate during morning to evening time only Weekend even shorter and public holiday they are closed. Overall I'm happy with this hotel. I will come back again. Overall: Accommodation was not great as expected. Negative: - Cleanliness was terrible around the unit. (excess sand/dirt from previous guests, dirty cabinets in the rooms, dirty curtains) - Facilities were run down especially the sauna. I booked this hotel for its facilities such a shame there are so many facilities but they are not taken care of properly. However, spa and swimming pool area was good. - No Aircon Positive: - Comfortable bed - Location as it is close to everything. Would have to be one of the best locations you could possibly want. 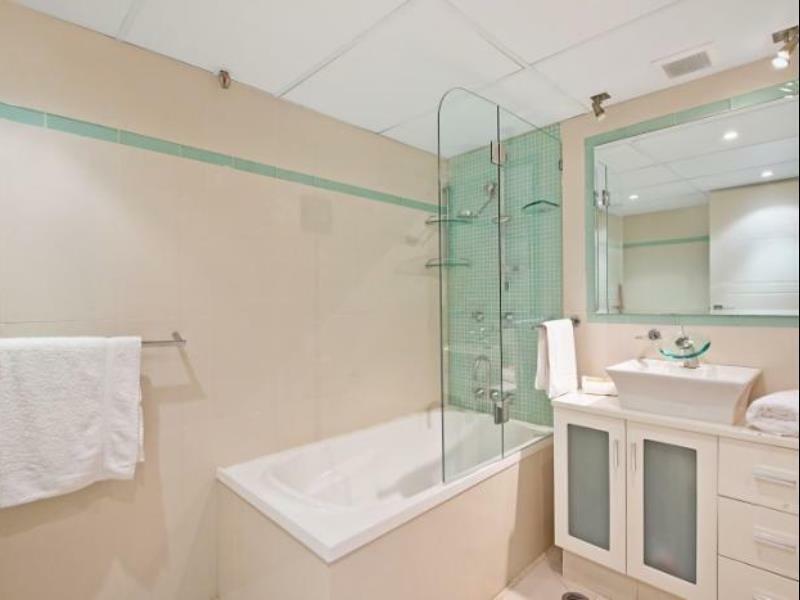 Two minutes walk to either the beach or Cavill mall shops. Unobstructed views of the beach. Kids loved the pool and the BBQ area was always clean and ready to use. Will definitely be staying here again. Our family stayed on the 18th floor for 1 week. It had a great view of the ocean and surrounds. Large spacious apartment with friendly staff. Also, lots of free parking spots in the underground parking. All good for us.